Having worked in retail for the past three years, I wasn’t prepared to spend my first Boxing Day at home out and about making the most of the sales. Nah, to me the sales are completely overrated and I was much more comfortable conducting my business from my laptop in my bed. With a fresh brew and toast in hand I spent a fair portion of my day in my PJs browsing the internet for some bargains of a few things I was in need of: some t-shirts and a pair of trainers. Boring I know. With both of my needed items ticked off by lunchtime I was prepared to call it a day until I noticed that Tarte was having a mega sale. I’ve never ordered from abroad before and browsing through the QVC website just brings on severe flashback to my Mum’s brief obsession with PriceDropTV in my childhood so I was quite reluctant to take the plunge. Obviously I’ve heard fantastic things about Tarte’s stand-out Shape Tape Contour Concealer so I felt like my faith in a new to me brand to try was well placed when I was snooping through the sale section. In the end I settled for the Goddess Glam Eye and Cheek Set and the Tartiest Lip Wardrobe Set for a grand total of £14.25 with free shipping. Yep. This sale was damn tantalising and I just couldn’t say no. For an eyeshadow palette alone from a brand I thought I’d never get my mitts on and some lip paints for under £20 I was practically drooling and to hell with customs charges! I’ve heard a few varied accounts of customs charges for shipping from America, especially when Kylie launched her cosmetics range and everyone was scrambling to get anything before they sold out. Some people I’ve heard of have gone from being charging nothing to copious amounts for small, lightweight items. I just didn’t know where to start or what even to believe, so I popped a message over to Tarte themselves and they responded within 24hrs (during a sale rush no less!) to put my mind at ease – as far as they knew my order wouldn’t come with a customs charge. My order arrived exactly a week later and I can happily report that I was charged no more than the cost I originally paid through Paypal on the day. I must say that tracking my package across New York and seeing it arrive in Heathrow was bloody exciting, even before it landed in my postman’s hands for delivery to my door. It was thrilling. 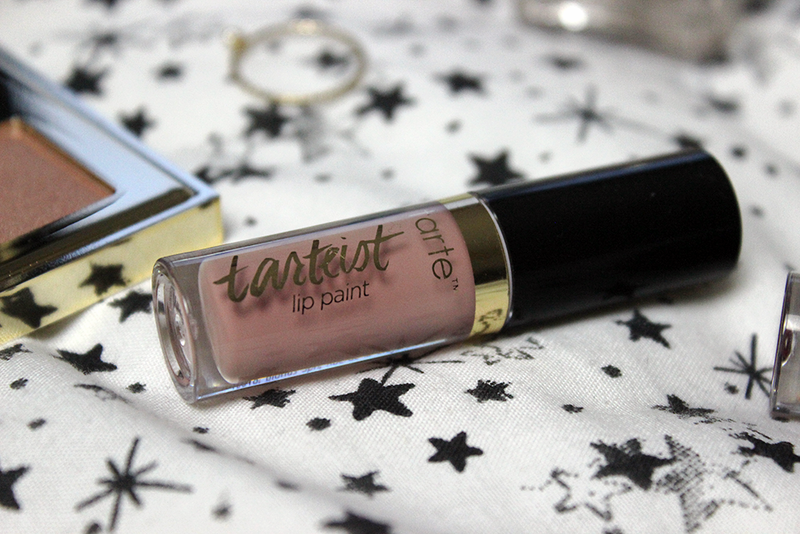 I tried the lip paints first and the matte pictured above is easily my favourite. It applies effortlessly and required few additional coats for the colour the stand-out. This could replace my love for NYX lip cremes without a second glance, if it wasn’t for the price of a full-size product. The glossy red isn’t the best in comparison to it’s matte partner and I’ve worn it once or twice without feeling like it’s changed my life. The red simply feels like a standard gloss and it’s quite wet. Annoying. Another product that just didn’t do it for me was the Lights, Camera, Lashes 4-in-1 Mascara. 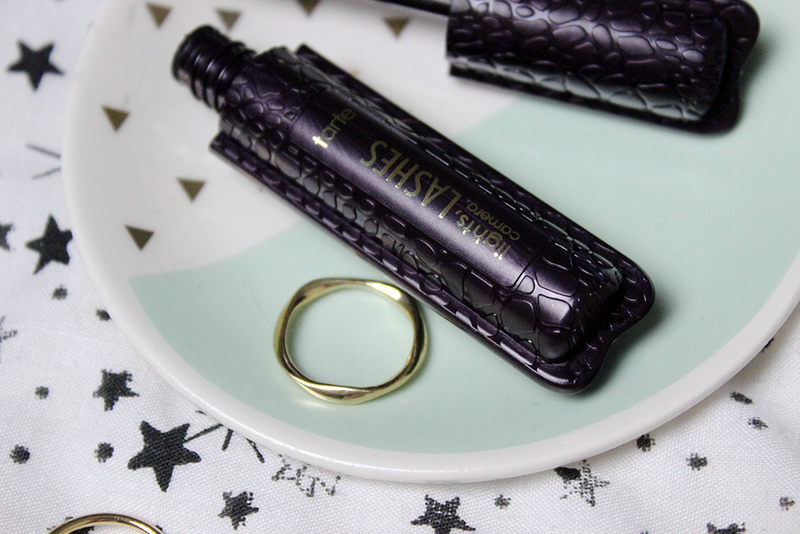 The mascara formula and wand do as it says on the tin, and I do get the effects on my lashes that I was expecting compared to the photos of it in action – but it really smells. I don’t know if that’s because this is a mini version but the one that I hold my my hand (right now actually) completely stinks of chemicals. When you sniff it a few times you can get used to the smell but each time I’ve twisted the cap to apply I’ve been overcome with the smell coming from the tube. I’m so confused by it. 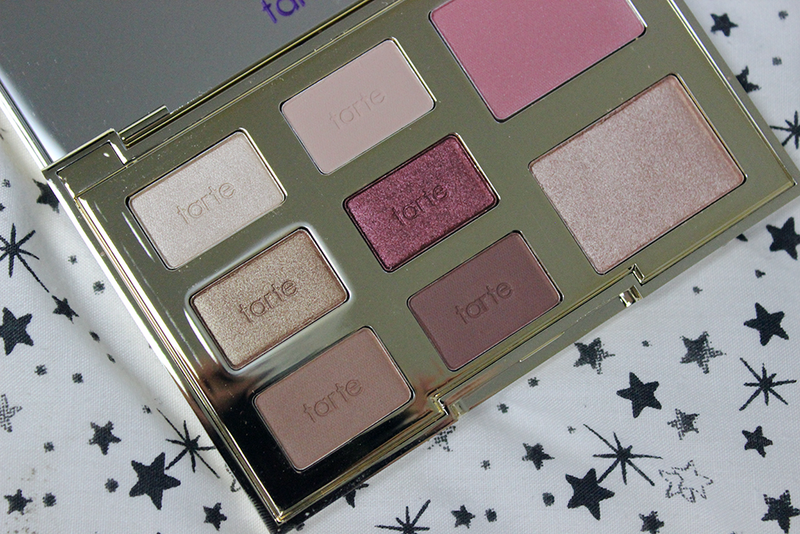 The only product from my mini haul that makes it all worth it is the eyeshadow and cheek palette, it’s gorgeous. 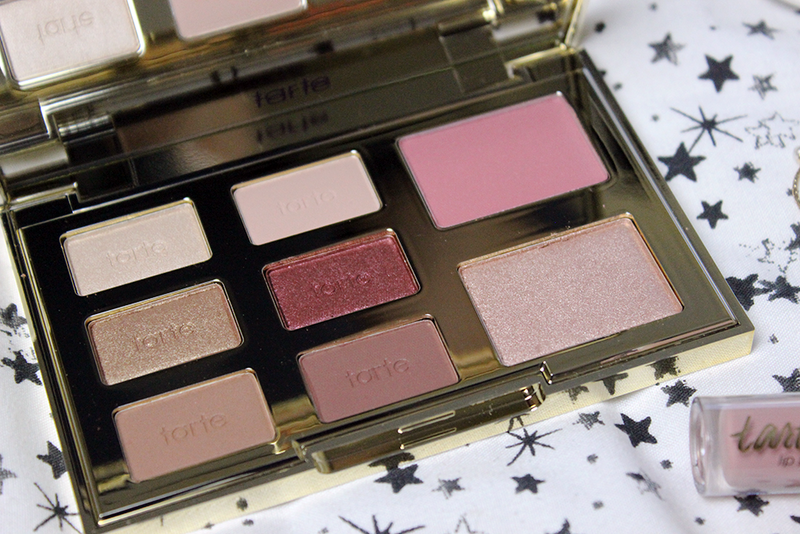 The pattern on the top is simply lovely and the eyeshadow pans look luxurious enough to feel more expensive. This is a palette that I would happily pack away in my make up bag for on-the-go use because the shadows are just so buildable with hardly any difficulty. The matte and shimmer shades are very on trend and even though the brighter colours feel a little chalky when swatched, they still apply very well with a primer to the eyelid. I know it hardly makes a difference but the mirror on the inner of the lid takes up the whole product, so you can make full use of the space to apply your make up without having to squint to see what you’re doing. 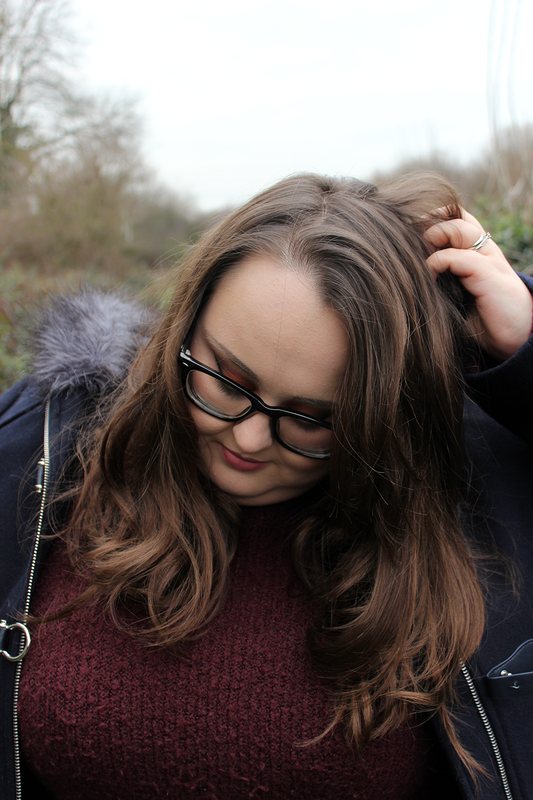 The blusher is a new favourite because the pink is pale enough to make an impact, but not too bright so that my cheeks don’t have that accidental glow-in-the-dark effect one can sometimes be victim to. 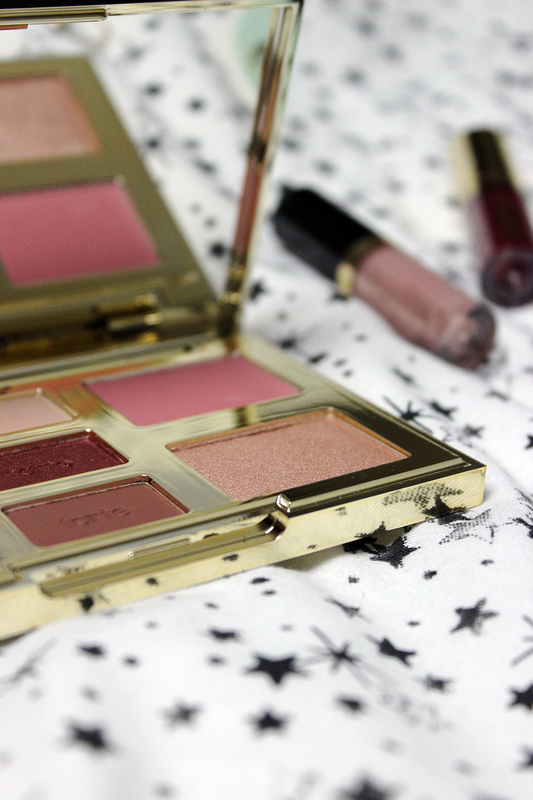 The highlighter goes hand in hand with the blusher and the two are well matched, the shades are complimentary to each other and glide on incredibly well – I’m all the heart-eyes emoji about this palette. Overall I feel like this order was really worth it, just for the palette. This was the product I had my eye on anyways and the lip products were just an extra to make the order seem more worth the cost so I wasn’t expecting the earth. I certainly want to try the shape tape concealer but it looks like Tarte may be releasing something new in that vein soon so I’ve got my eyes peeled. 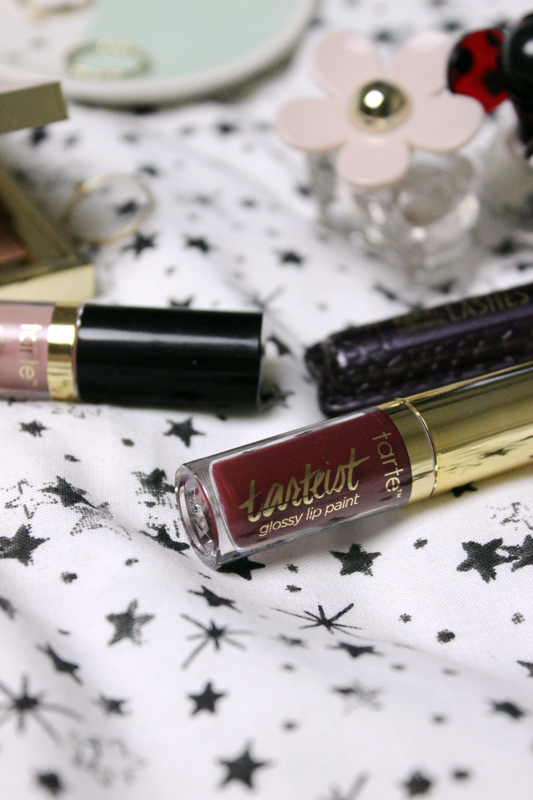 Have you ordered a Tarte product before? What did you think of it? Let me know in the comments.